If you've ever worried about coming home to a flooded basement, this project is for you. 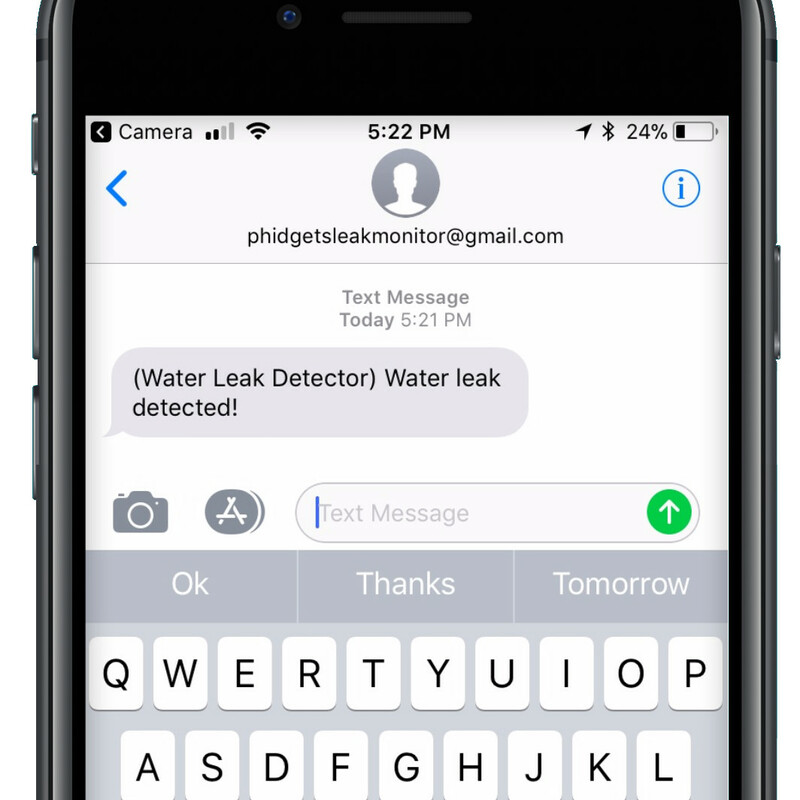 We will be creating a water leak detection system that will send you a text message if a water leak is detected. 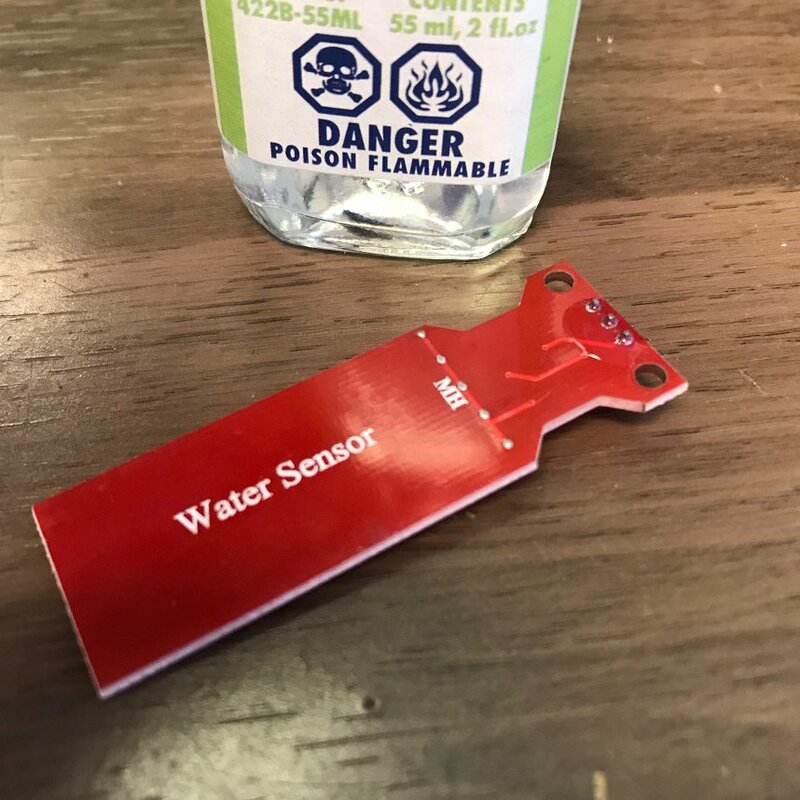 Water sensor - we used this one. 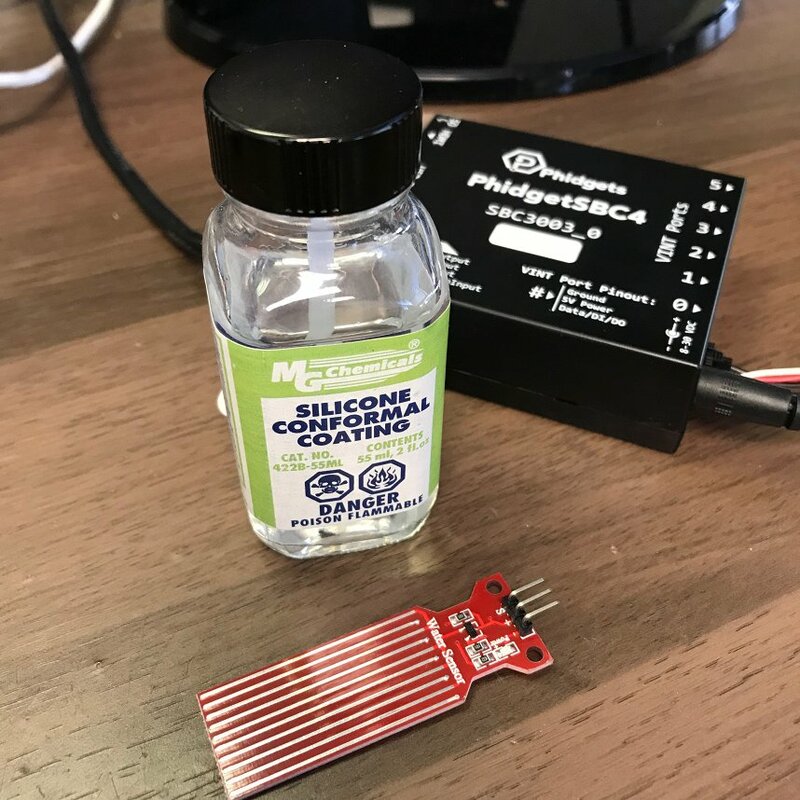 Our sensor will likely be coming into contact with water (especially during testing), so it is important that we protect the PCB components. 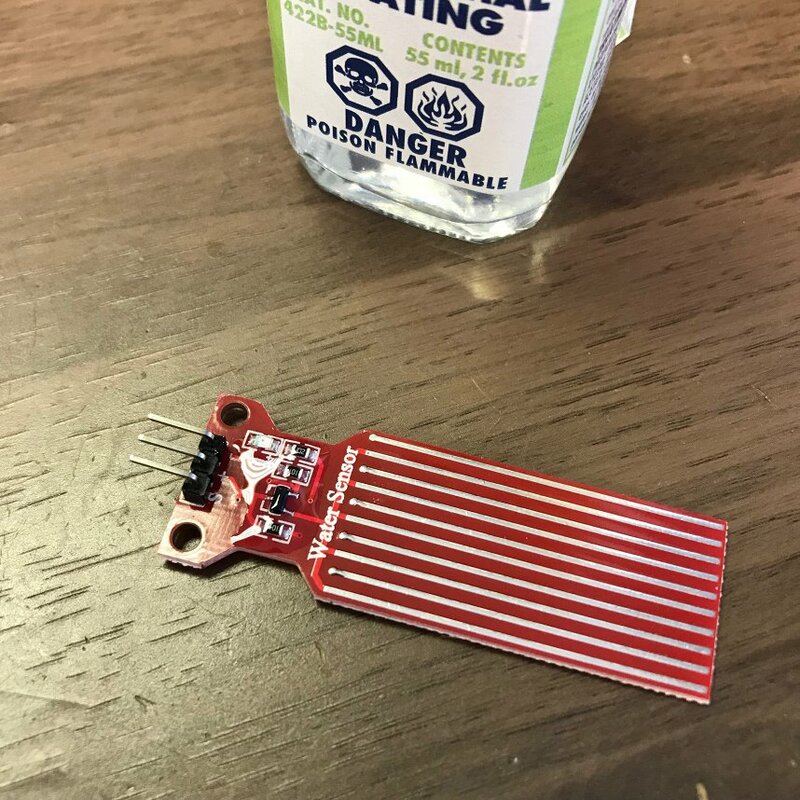 To do this, we used a conformal coating on the PCB. Applying conformal coating to the top of the PCB. Applying conformal coating to the bottom of the PCB. Cover power, ground, and signal pins. This project assumes that you are somewhat familiar with the basic operation of Phidgets. If this is your first time building a Phidgets project with a Phidget SBC, please refer to the SBC page for instructions on how to setup your environment and get started. 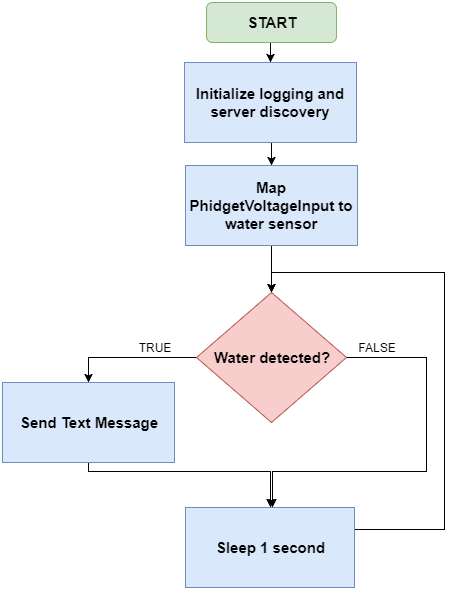 Call PhidgetVoltageInput_getVoltage to get the latest voltage value from the water sensor. Check if the sensorValue is at a dangerous level. If it is, send a text message. This is a simple program, and there are some improvements that could be made. If you have any suggestions, let us know!